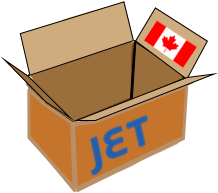 Need a information for sending your parcels to Canada? Low cost alternative to Canada Post, USPS to Canada and La Poste (France). We offer information on courier parcel delivery service to Canada. We offer some of the cheapest courier prices if you’re looking to send a parcel to Toronto, Vancouver, Montreal ... and anywhere else in Canada! Our bi-lingual team is dedicated to providing information on finding a uniquely Canadian delivery solution. .. or, for regular deliveries to Canada - we can develop unique low cost delivery solutions. Our team is standing by to provide information and quote for your package to Canada and discuss how we may be able to meet your unique needs.